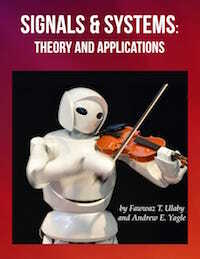 Welcome to the website for Engineering Signals and Systems, Theory and Applications, developed to serve the student as an interactive self-study supplement to the text. We hope you find this website helpful and we welcome your feedback and suggestions. Software is used to bring the concepts discussed in the book to life. These files are provided to give you a head start in simulating and exploring concepts. Other products and companies may be trademarks of their respective owners.